How to Stop Microsoft from spying your content in Windows 10? Windows 10 is a huge hit, says Internet and reports from Microsoft. But wait, there are few serious bugs and privacy concerns surrounding Windows 10. 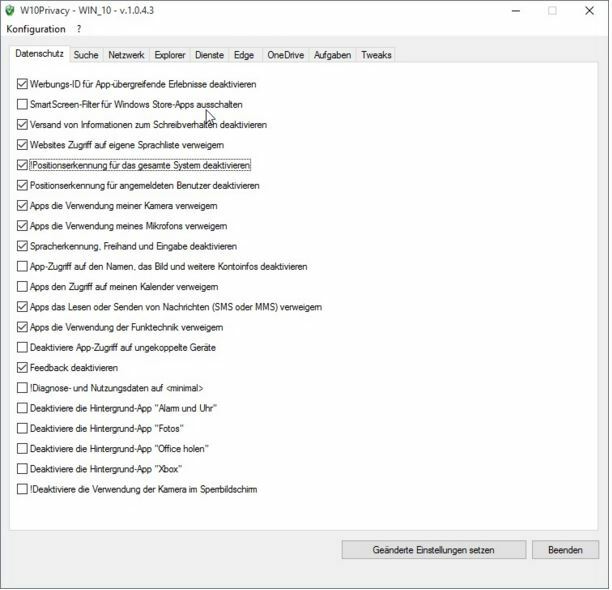 I recently came across an article, that says Microsoft is monitoring everything you do with Windows 10 (such as Microsoft knows how long you use Windows 10, they read your emails, private communications and files that are stored in private folders) and those settings are enabled by default. How scary is that? Well, you’ll be totally horrified after reading Microsoft’s Privacy Statement. 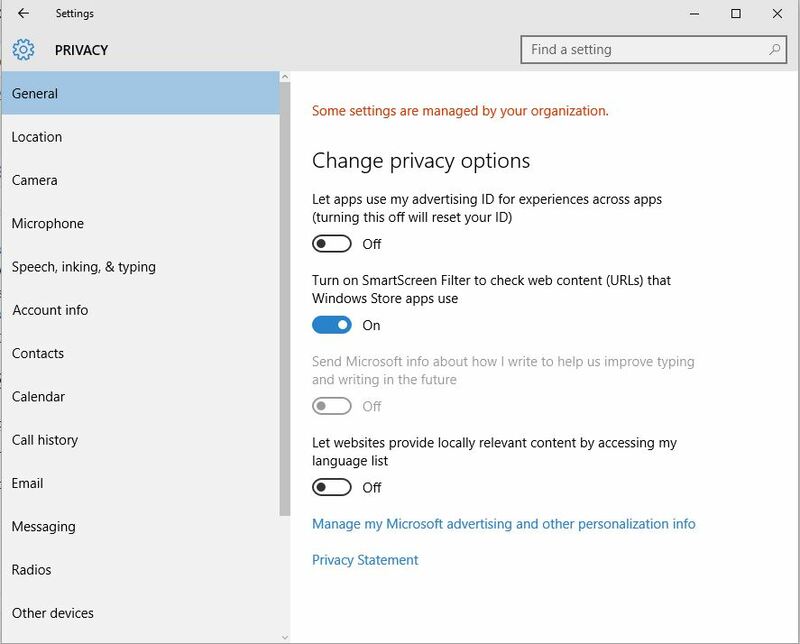 Verifying Privacy settings should be the first thing you should be doing after installing Windows 10. 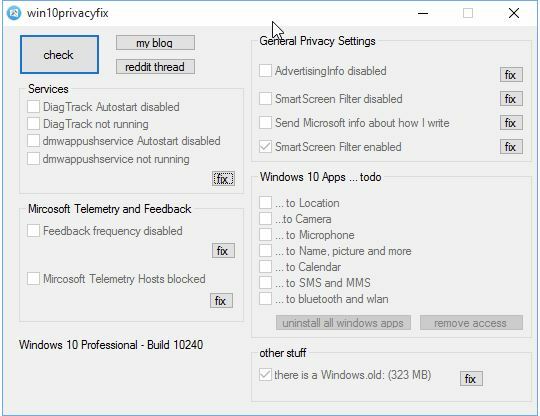 There are few programs in the internet that allows you to control Privacy settings in Windows 10, but it’s a good idea to start with “Privacy Settings”app. All you need to do is, launch Privacy Settings via Settings app. In the Settings app, click on “Privacy”. In the Privacy Settings app, lookout for the left side menu and click on each item to control privacy settings. Note: You may need to keep few settings On, so read the description before tweaking it. 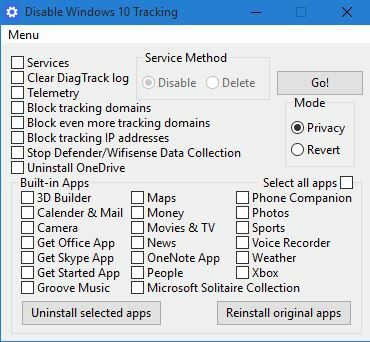 There are few tools out there in the internet that allows you to control various Privacy settings in Windows. 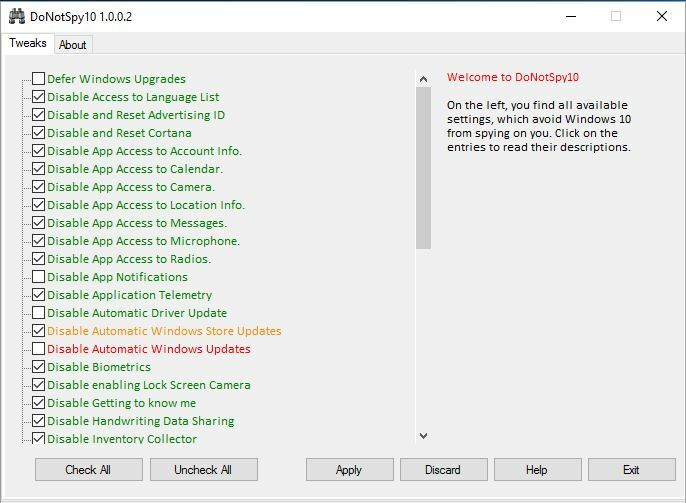 DoNotSpy10 – a free application that provides a centralized interface where users can view various settings and choose to turn it On or Off.